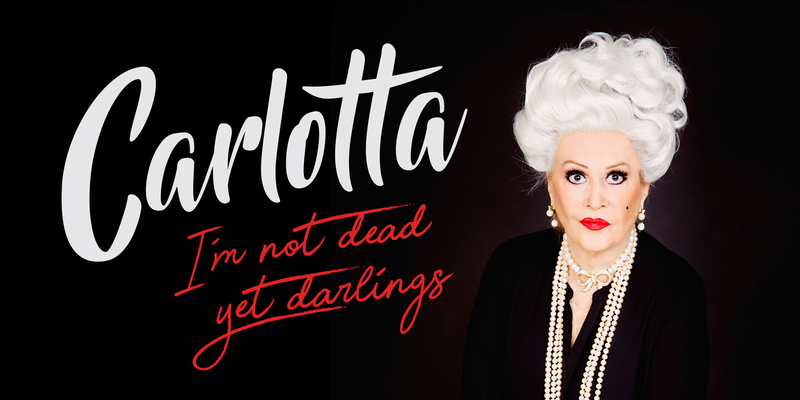 Following a sell out season at Hayes Theatre Co last year, Carlotta is back in the Cross with more stories and songs from 50 years on and off the stage. Australian icon, political activist and living legend, Carlotta has led an extraordinary life: good times, bum times, she’s seen them all and my dear, she’s still here. Accompanied on piano by Helpmann Award winner Michael Griffiths.